“They’re cute. They’re complicated.” E! 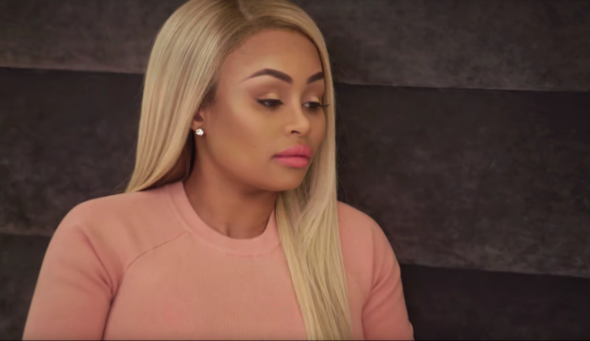 has announced their new series Rob & Chyna will premiere in September. Rob & Chyna premieres on September 11th at 9 p.m. ET/PT. LOS ANGELES – August 15, 2016 – E! goes behind closed doors to witness what happens when new couple Rob Kardashian and Blac Chyna embark on building a life together as a newly engaged couple with a baby on the way. The six episode, one-hour docuseries goes inside their private world as they discover one another’s quirks, celebrate new beginnings, suffer some setbacks and begin to blend their outspoken families. “Rob & Chyna” premieres Sunday, September 11 at 9pm ET/PT on E! Less than a year into their relationship, Rob Kardashian and Blac Chyna have fallen hard for each other, become engaged and announced they’re expecting a baby. Now, as the couple continue to open up to each other, they’re also sharing all of their relationship with viewers. Throughout the series, Rob continues on his journey back to good health and finds it hard to stay focused while Chyna indulges in pregnancy cravings. Scott Disick and Kourtney Kardashian become shoulders to lean on for Rob, encouraging him and offering words of wisdom to the father-to-be. Kourtney Kardashian hangs with the couple at Khloe’s birthday party and Chyna makes the trip to San Diego to celebrate Kardashian/Jenner grandma MJ’s birthday. What do you think? Are you a fan of Keeping Up with the Kardashians? Will you watch Rob & Chyna?